Early warning sensors alerted the Foggy Bottoms Resort and Spa. The klaxons blared; citizens were advised to shelter in place. 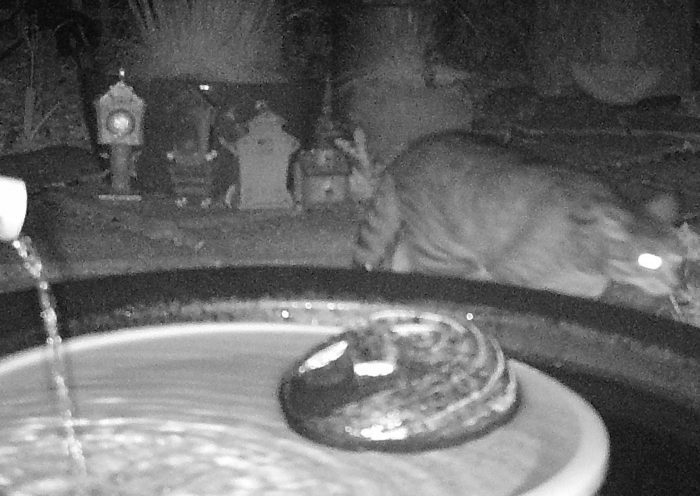 A marauding villain was on a predawn hunt. the Face of Everyman recognized the predatory being as a neighborhood house cat from a good family. The venerable sage cleared his throat loud enough to scare the trespasser into a hasty retreat. Sunrise came to a tranquil paradise.